As part of its partnership with the FDA, which began in 2001, the NCNPR focuses on developing scientific tools for assessing the safety and quality of dietary supplements that are commercially available. Scientists at the NCNPR, which is a division of the UM School of Pharmacy, develop analytical methodology to assess the chemical makeup of botanical products. These methodologies can be used by regulatory agencies and the industry to assess the quality of products in the market. Ikhlas Khan, associate director of the center, traveled to Washington, D.C., earlier this month to talk with the Centers of Excellence directors about progress of the research and plans for the next year. 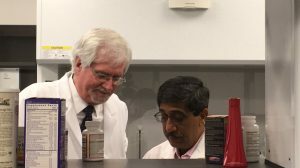 The initial focus of the partnership was to develop a repository of dietary supplements for testing and authentication, Khan said. The focus has shifted over the years to developing tools for safety assessment.